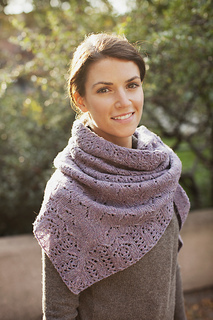 A woolly triangular shawl in a lightweight fabric is a great accessory to have on hand. We like to wear them bunched up around the neck, with volume, like a scarf. 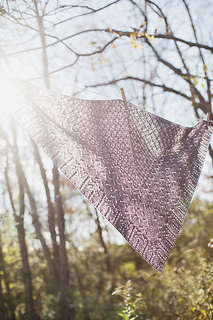 The stitch patterns incorporated in this design allow the fabric to be decorative, without being overly lacey. 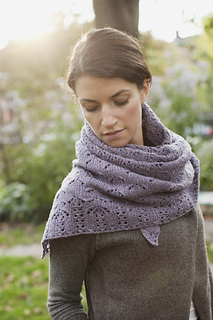 Here yarn and pattern combine to create a warm accessory that is both beautiful and functional.